Jaydeep Steels is a well-established and highly renowned Super Duplex Steel Fastener supplier and exporter since the last many years. Gaining customer satisfaction by providing them with the most innovative and best quality Super Duplex Fasteners is our first priority. We also take care of the fact that our after sales services remain intact and being carried out properly and efficiently. At Jaydeep Steels, the Super Duplex Fasteners are manufactured form the best range of available grade like UNS S32760/2207 so that the final product has most of the required advantages. These grades of super duplex stainless steel fasteners are used when the applications demand exceptional strength and corrosion resistance. They have chromium, molybdenum, and nitrogen content, which provide excellent resistance to chloride pitting and crevice corrosion attack. 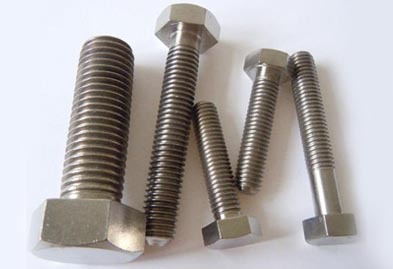 We have a huge inventory of different types of Super Duplex Steel Fastener like Super Duplex Steel Nuts, Super Duplex Steel Bolts, Super Duplex Steel Screw, Super Duplex Steel Washers, Super Duplex Steel Anchor Fasteners, Super Duplex Steel Stud Bolts, etc. To serve our customers better, we manufacture the Super Duplex Steel Fastener in various kinds of size, shapes, specifications, and thickness, while paying special attention towards sticking to the international and national standards, rules and regulations for manufacturing these products. Our Super Duplex Steel Fasteners are mostly demanded in industries like desalination equipment, chemical processing, marine application, flue gas scrubbing industry, oil and gas industry, etc. They also offer various other excellent features like good weldability, better workability, higher thermal conductivity, fatigue, high strength, etc. Contact us today to request a free quote today! Jaydeep Steels stocks a wide range of materials and grades. 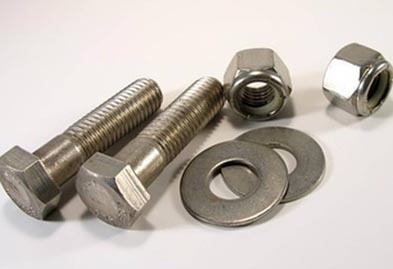 Below is a list of all standard super duplex steel fasteners materials and grades we stock. Our experienced team of metal experts will get you the metal you need when you need it. Call us today for your Super Duplex Steel Fasteners Needs!